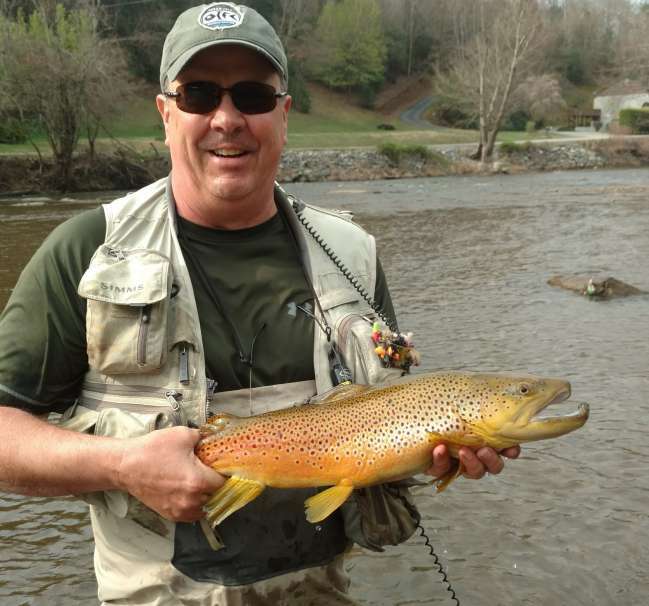 Caught this pretty brown yesterday while fishing near my home on the Tuckasegee river. PS, have tried to post this in fresh water trout contest section with no luck. If it can be moved I would appreciate it.